Poplar Healthcare » Nasir Zaidi, M.D. Dr. Zaidi received his medical education at the Bolan Medical College, followed by 3 years of Surgical Residency at the same institution. He moved to the Christie Hospital University of Manchester, England to do a MS and PhD in Experimental Oncology. He completed Anatomic and Clinical Pathology Residency at the University of Alabama Birmingham, followed by a Dermatopathology fellowship at the University of Florida. After his training he practiced Dermatopathology in the Greater Kansas City area for 13 years. He joined D-PATH in April of 2014. 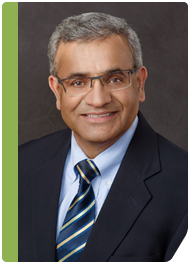 Dr. Zaidi has multiple publications on cancer research and skin diseases. He is a Fellow of the College of American Pathology, American Society of Dermatopathology and a member of multiple national and local societies.